My husband and I were visiting Paris for the first time, and we were only planning for a 2 night stay and this property was by far one of the more reasonably priced options and it was better than we expected. We really enjoyed the close walk to Eiffel Tower (the main reason I booked this location) and the young women working the receptionist desk was beyond gracious. We will be back. The staff present during check in guided us nicely. Housekeeping was excellent. She herself had washed the dishes which we left after cooking. The lady at reception was kind enough to allow us keep our luggage joto 5 pm, though check out time was 11 morning. Hotel room is really nice. We stayed in room moner 503. It has a glimpse of top of Eiffel tower. The place is safe and very near to Eiffel tower. Very near to shops and metro. Will highly recommend. 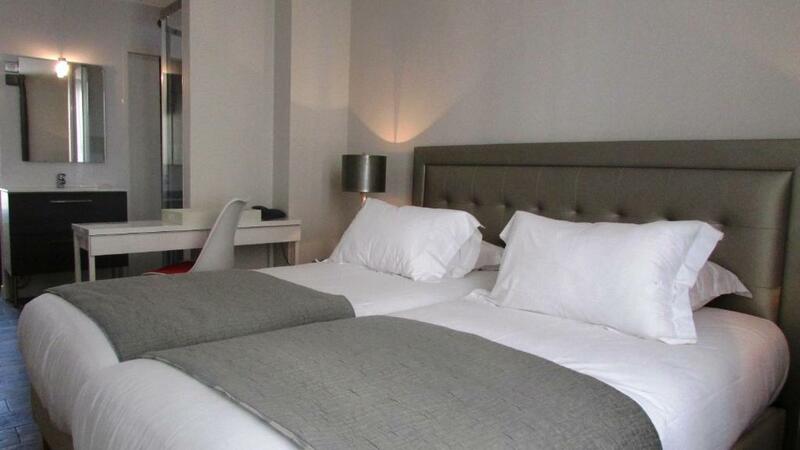 Comfortable rooms, and beds. Great staff! I must add that Romielle is a great asset to the residence. Would highly recommend staying here, and would definitely come back! There wasn’t much to like. I’m surprised to go back and read the other reviews praising this place. The location was the only good thing. 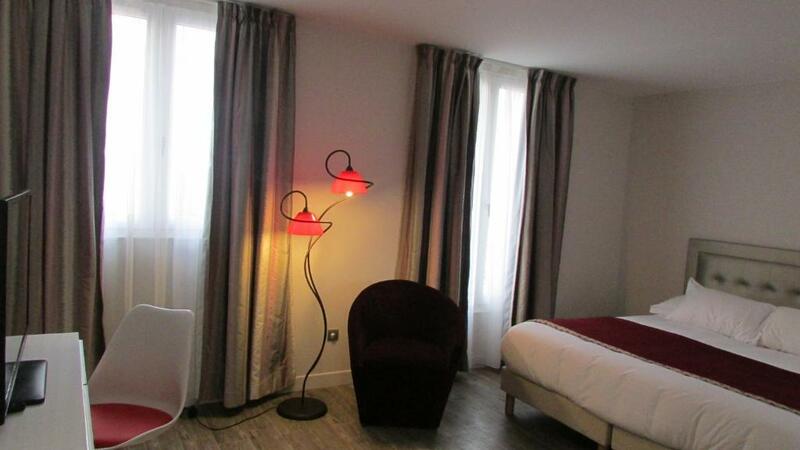 Convenient to the metro and 10 min walk to the Eiffel Tower. Otherwise, there wasn’t a lot to like considering my expectations. It was a Studio Close to the eiffel Tower. Clean and cosy. the night staff was very helpful and friendly.And helped me find a pharmacy for medicines. But day staff was rude and charged me 9 euros to call taxi. The receptionist was very nice and accommodating. She helped me with directions and interpreting the map, since that was my first visit in Paris . She is a very pleasant young lady! 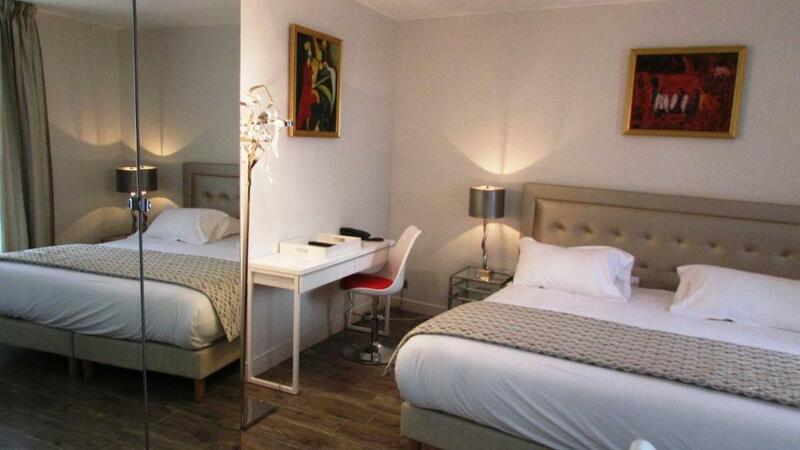 Lock in a great price for Résidence Champ de Mars – rated 8.3 by recent guests! In Paris, Résidence Champ de Mars is .5 miles from the Eiffel Tower and a 15-minute walk from the Quai Branly Museum. 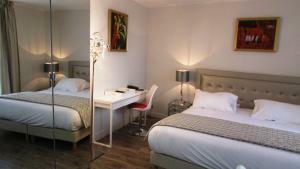 The property offers rooms and studios with kitchen facilities and satellite TV. Free WiFi access is available throughout the building. 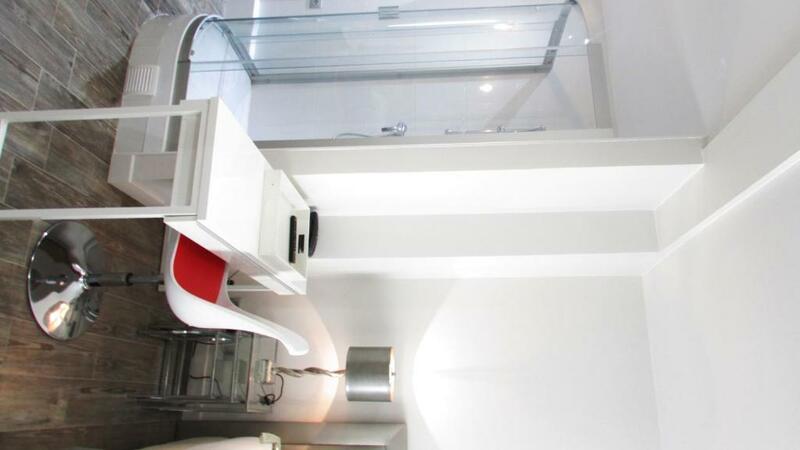 Each unit is serviced by an elevator and features heating and a private bathroom with a shower and a hairdryer. Studios have a kitchenette with kitchenware, a stove and a fridge. A coffee machine and a microwave are also at guests’ disposal. With a garden, Résidence Champ de Mars is 1,150 feet from La Motte-Picquet-Grenelle Metro Station, with direct services to the Arc de Triomphe. 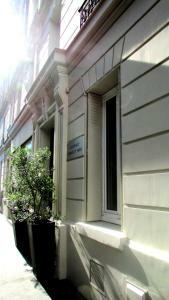 뀐 Located in the top-rated area in Paris, this property has an excellent location score of 9.1! When would you like to stay at Résidence Champ de Mars? This studio with kitchen facilities includes free Wi-Fi, a flat-screen TV and a private bathroom with a hairdryer and a shower. This room includes free Wi-Fi, a flat-screen TV and a private bathroom with a hairdryer and a shower. This apartment with kitchen facilities includes free WiFi, a flat-screen TV and a private bathroom with a hairdryer and a shower. Area Info – This neighborhood is a great choice for travelers interested in romance, tourist attractions and ancient landmarks – Check location Excellent location – show map Guests loved walking around the neighborhood! House Rules Résidence Champ de Mars takes special requests – add in the next step! Résidence Champ de Mars accepts these cards and reserves the right to temporarily hold an amount prior to arrival. Everyday from 09:00 to 12:00 and from 13:00 to 20:00. Please note that the credit card used to make the booking will be requested on arrival. Please note that the prepayment will be made by MONT DE MARS. Incredible location, excellent facilities and incredibly friendly and helpful staff. Great value for money. I would highly recommend anyone to stay there. Shower was moldy. Door hinges need to be oiled. Make excessive noise. Staff and beds. Coffee in rooms and downstairs. Brilliant location, staff extremely friendly and helpful. Room was spacious and clean. Ideal location for exploring Paris. Lovely patiserie opposite, supermarket 1 minute walk away. 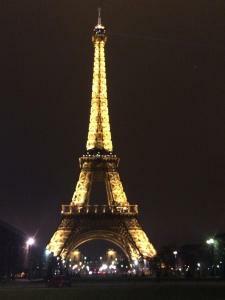 3 minute walk to Champ de Mars and the Eiffel Tower. Really nice location. 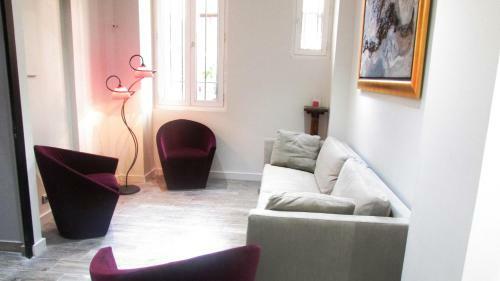 Perfect location, central but peaceful too, next to the Eiffel Tower. The cleaners need sacking, the showers are covered in mould and not very clean and the common stairwell smelt awful. Bathrooms are also so small (less than a meter wide) you can barely fit in there. 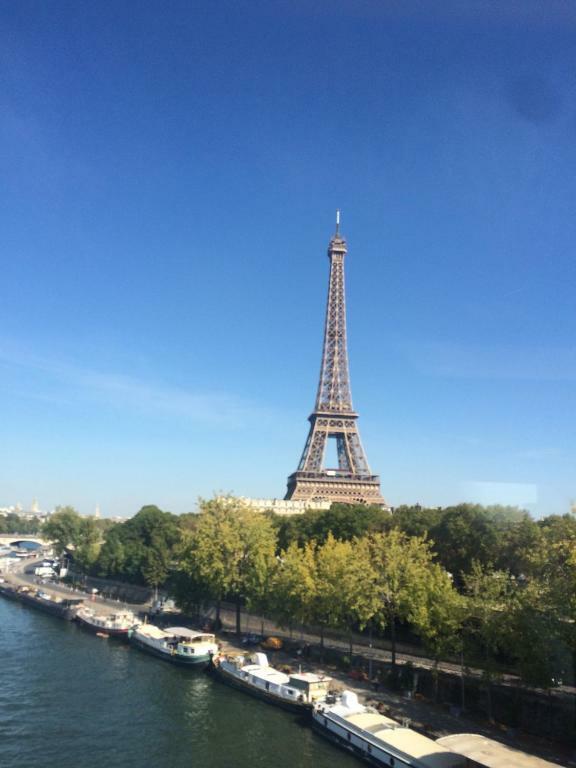 Amazing location, five minutes away from the Eiffel Tower! 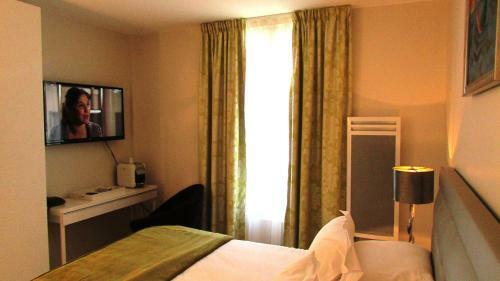 Lovely staff, clean room and peaceful/quiet environment. Delighted by the coffee machine within the room. ... we were so lucky to be upgraded to a studio instead of a room. Location was very good. Staff was nice. Location was perfect staff we spoke to were friendly. They need to make it a bit more clear that after 8pm there is no reception. Two other guest couples were having trouble getting in. Everything was ok! Except the drain in the shower wasn’t really drain the water as fast as usual.. Location, cleanliness, studio with kitchenette, peaceful area..very good! Very good value for money. Clean, cozy, close to the tower. Verry nice and pleasant receptionists, do not change them. Room with kitchenette was an unexpected bonus Comfortable bed Modern decor. Great location Reception - given lots of information. Extremely helpful and welcoming.